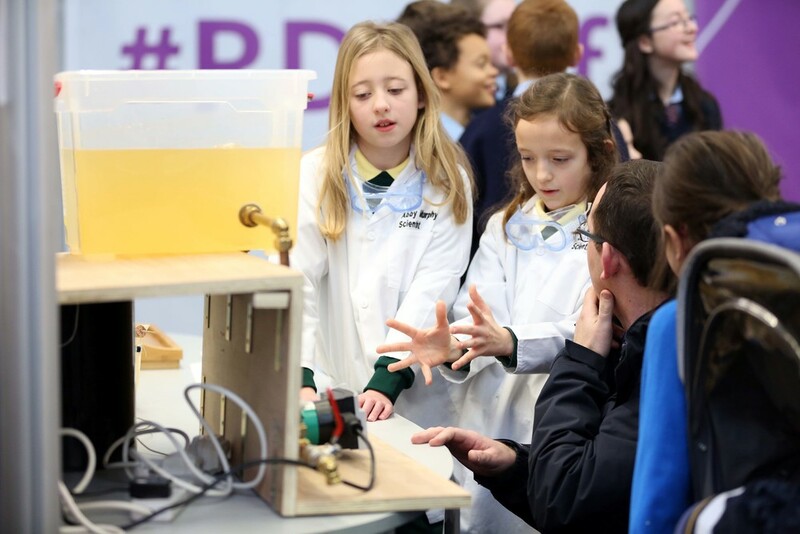 Each year, the Royal Dublin Society (RDS) hosts non-competitive primary science fairs where classes of students present their scientific investigations and attend educational workshops. The Partnership is a co-sponsor of the Limerick and Belfast Fairs and a long-time supporter of the Dublin Fair. The RDS Primary Science Fairs aim to develop students’ scientific skills and curiosity. They are a venue for students to develop numeracy and literacy skills, exchange ideas, and for teachers to gain a professional network of contacts to share best practices. Students are encouraged to design a project, investigate a question, and analyze their results. Independent evaluation has shown that 97% of participants reported that their science skills improved, and 80% noted an improvement in their math skills. While primary science fairs are common in the United States, they have only been recently introduced in Ireland. Thus, the RDS Primary Science Fairs are often the first and only opportunity for students to participate in an event of this kind, making an impact at a formative age.